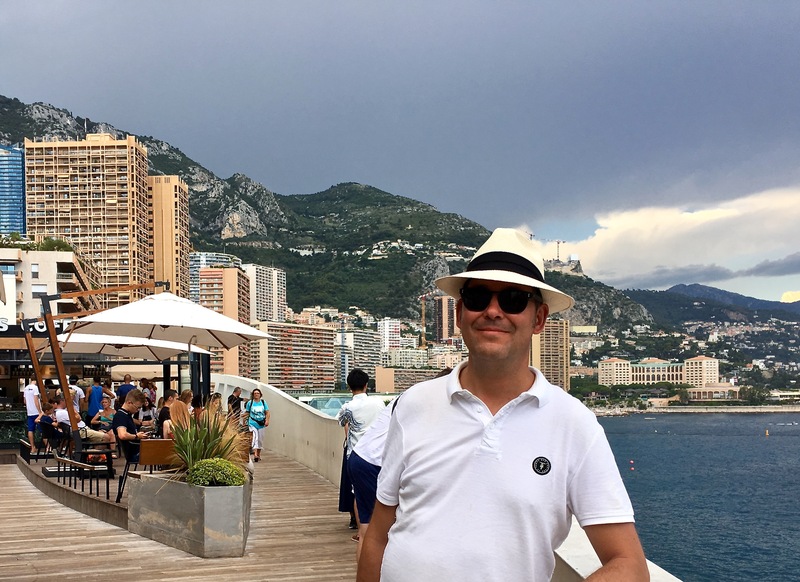 With Monte Carlo as the backdrop, Matthew sports the fancy hat that I bought him for our anniversary. Gotta be well-dressed when you’re hanging out in Monaco, where all the biggest tax dodgers reside. Admittedly, I started everything off on the wrong foot by overpacking. I’m sure you’re thinking, “Really? How surprising.” But I got myself all freaked out by the multiplicity of climates we’d be encountering over our month-long trip: chilly and rainy in Oslo; warm and humid in Madrid (where Matthew’s second week of school was to be held); and unbearably hot and dry in the south of France, where we’d hoped to celebrate our 25th wedding anniversary. In my vivid imagination, I kept picturing us lounging seaside on the French Riviera and not being appropriately dressed to share beachfront with the likes of Beyonce and Jay-Z, Bono and Leonardo DiCaprio, Brad and Angelina, and other notables known to frequent the Côte d’Azur. So let’s just say I pretty much packed every article of summer clothing we owned. Our two huge suitcases and carry-on bags ended up weighing in at 150 pounds (68 kg.) Remember that number for later. But back to my hotel horror story. Three days before our flight, the AirBnB in Oslo that we’d booked two months earlier pulled out on us. We’d never used AirBnB before and were caught off guard by the fact that your host can cancel your reservation at the last minute, leaving you homeless. In this case, the guy claimed that he’d had friends show up unexpectedly. But I’m fairly certain that he discovered he could rent his place for a lot more money to the yachting set in town for the sailing regatta. I snapped this shot out the window of the AirBnB where we stayed for two nights. 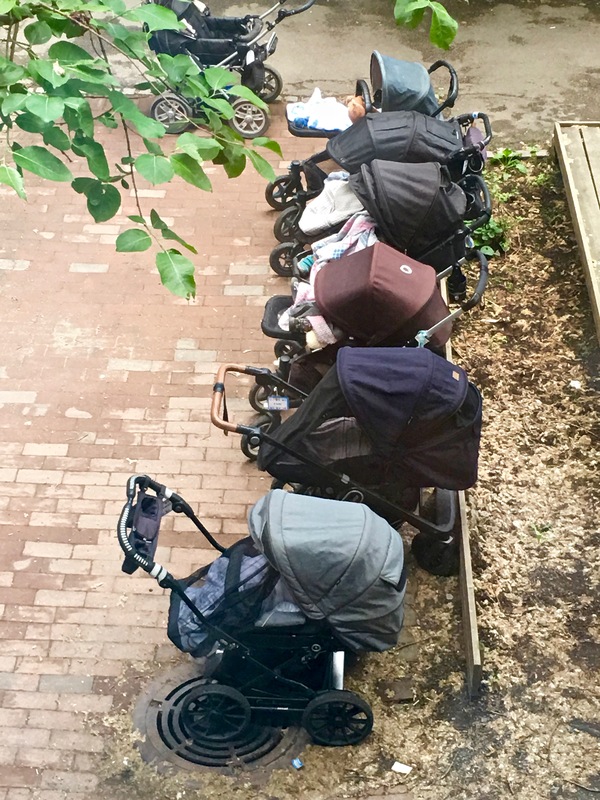 The door let out onto a courtyard where the local “barnehage” (kindergarten) lines up strollers filled with sleeping children during nap time. Norwegians are strong believers in an hour a day of fresh air for babies, no matter the weather. We thought we’d found a new place just hours before take-off, only to get a message upon our arrival in Oslo. Our second host had also had “friends who’d suddenly come into town” and could only accommodate us for two days instead of two weeks. So we spent the brief time at her apartment looking in vain for a new rental home in the height of Oslo’s tourist season. We eventually found a single hotel room that could accommodate us for one night only, to the tune of $350. Ouch. At this rate, we’d be bankrupt in a week. Continuing our frantic late-night search from our pricey hotel room netted us nothing but a maxed-out credit card, making it impossible for us to book any other rooms. Yes, we’d stumbled into yet another AirBnB loophole. Turns out that to hold a place, you must pay the entire bill in advance, even if you don’t know whether the owner will accept your reservation. So by midnight, we’d racked up $15,000 in rooms, none of which turned out to be actually available. I’d never been to Grefsen before; it sits higher above Oslo, with a great view down into the fjord. The neighborhood has winding streets, charming wooden homes, and a bucolic feel overall. But there’s also a mall, grocery store, and movie theater just one Trikk (streetcar) stop away from our rental. Only one problem: the owner wasn’t available to let us into his apartment until 11:00 p.m. He’s an environmental advisor for North Sea oil rigs and wouldn’t be flying back until late. This meant that at 3:00 p.m., when the hotel needed us to clear out, we officially became homeless. Here’s where that 150 lbs that I mentioned earlier becomes important. I had to drag it — plus our cat in a carrier — out to a park bench in the nearby Palace Gardens. From the looks I got, I’m guessing that the Royal Guards were concerned I was the worst kind of American export. Luckily, I only had to pitch camp next to the palace for a couple of hours, just long enough for a friend to get off work so that I could hang out in her house until our AirBnB opened up. (Thanks, Jane — you’re a lifesaver!) But during the course of all that schlepping, I managed to throw out my back. By the time we met up with our AirBnB host, I was afraid I had a serious problem on my hands. Check out our adorable gingerbread rental. Our host told us that it was once the main house of a sprawling farm. Our apartment was on the third floor in the attic, where the two windows are located beneath the gable’s eaves. 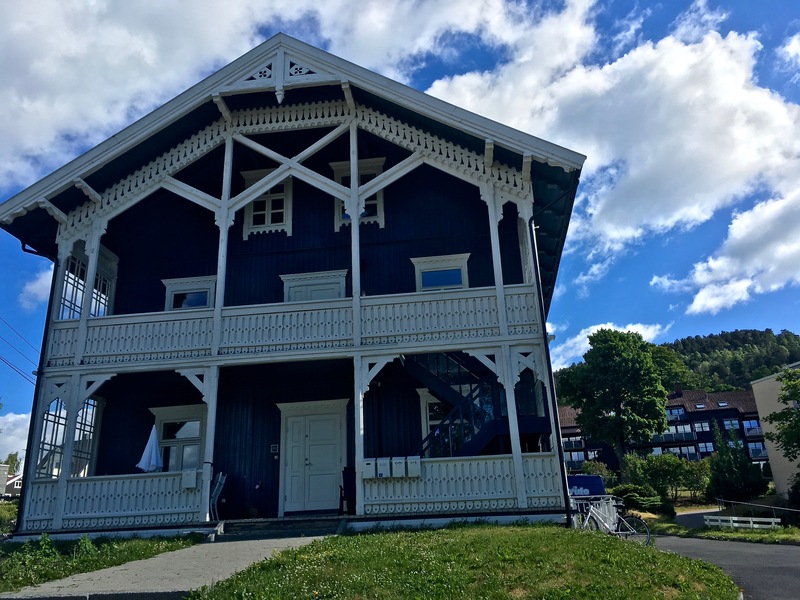 Of course, the apartment ended up being on the third floor of one of those adorable and historic Swiss-chalet wooden homes. The place was gorgeous, the view of the fjord was beyond beautiful, but the hike upstairs with all that luggage proved to be apt punishment for my overpacking. Toting groceries the next day didn’t improve matters, and by the following day, I decided to seek professional help. Off to the Volvat health center I went …. The two attic windows give a great view out from underneath the eaves of the gingerbread gable. I love all the exposed beams! Here’s the view of the Oslo Fjord from the living room windows. A gorgeous sky greeted us every morning, making us feel like we were looking out at a stage set. Check out the adorable bedroom. I love showing Americans how people live in other countries. Houses in the U.S. are often suburban track homes, homogenized and cookie-cutter bland. I’m always amazed at how unique and gorgeous the houses in Europe are. How’s this for a cozy kitchen? Even though the building is from the 1800s, the interior space has been remodeled to blend modern conveniences with historic elements. Just gotta sit the short folks like me on the low end of the roofline. Across the parking lot from our apartment is Grefsen Folkesanatorium, originally a cold-water bathhouse turned tuberculosis sanatorium. Now the buildings house a school, daycare, and apartments. We couldn’t ask for a cuter neighborhood. I’ll take this chance to tell American readers about my experiences with the Norwegian Health System — it’s one of the biggest questions I get from friends and family. Folks often make two wildly inaccurate assumptions based on the mythologies of medical care in so-called “socialist” countries: 1) you’ll wait for hours to receive medical attention, and 2) medical care is far inferior to that provided in the United States. I can only speak from the perspective of someone who’s outside the state system. Because Matthew and I have never been sure of the duration of our stay in Norway, we’ve never really been able to engage as a permanent resident in the public healthcare plan. Only twice did we visit a state facility (helsestasjon): once for a flu shot this past winter, and once for stitches when Matthew fell on the ice and sliced open his knee. Both times the wait was around 10 minutes without an appointment and everything was super modern, incredibly well-organized, and absolutely free. 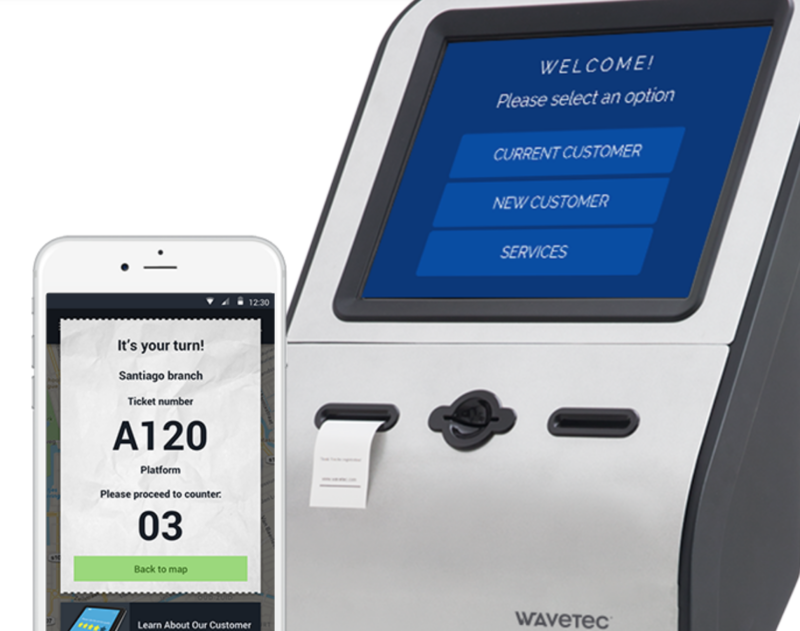 Doesn’t matter where you are — health center, pharmacy, shoe store, bank, post office, etc., — you’ll have to take a deli ticket to properly queue up. Norwegians (and Europeans in general) are big on line-cutting. Hence the need for some crowd control. However over the last four years, we’ve made multiple visits to the private Volvat health center right near our job site. To give you some background, Volvat is Norway’s largest private medical-services provider, complete with emergency, surgical, x-ray, and lab facilities. At Volvat, there are basically two queues, one for folks who don’t have a private membership, and one for folks who do. Those with memberships (around $150/month) typically get seen faster, within about 5 – 10 minutes as far as I can tell (and this is for walk-ins, not for people with appointments). Since Matthew and I aren’t members, we’re always in the longer walk-in line for the general public. We’ve been treated for everything from eye infections to broken bones and pneumonia. And I’d say our average wait to be seen by a doctor has been around a half hour. Sometimes we’ve received treatment within ten minutes, and the longest delay was two hours on a particularly busy day. 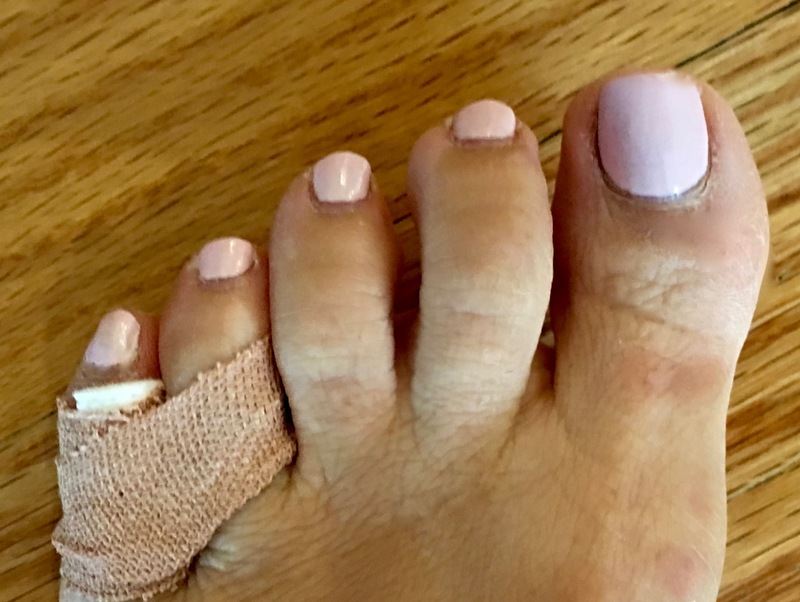 But I can tell you that it has been nowhere near the average four-hour wait I’ve experienced in emergency rooms in the U.S.
Not to gross you out with a photo of my foot, but I broke my pinkie toe in Norway when I tripped on my suitcase wheel. I was seen by a doctor, x-rayed, and then had the toe wrapped by technicians (who also gave me a training session on how to do it myself after showers, as seen here.) Total elapsed time — 30 minutes. Beyond that, any treatment we’ve received has occurred promptly, meaning blood tests get processed immediately in the on-site lab, results come within 15 minutes, and the facility’s pharmacy has medicine ready for pick-up. Recommended x-rays are performed posthaste, the results are read on the spot, and bones are set straightaway. We’ve never experienced the hours of waiting for each stage of the process as we have in the U.S. Remember, Matthew and I are essentially uninsured patients in Norway — although no one has ever treated us like deadbeat indigents who are undeserving of medical attention and attempting to scam the system. We pay for all treatment entirely out of pocket (except for those two helsestasjon trips), then submit the bills to our U.S. insurance company later for reimbursement. Which brings me to an interesting observation: the basic costs of healthcare in Norway versus the U.S.
Matthew injured his hand in a biking accident two summers ago, Of course, he didn’t really want to wear a cast, so he convinced the U.S. doctor to cut it off. As a result, he developed a large knot on the bone that stayed sore for a year. 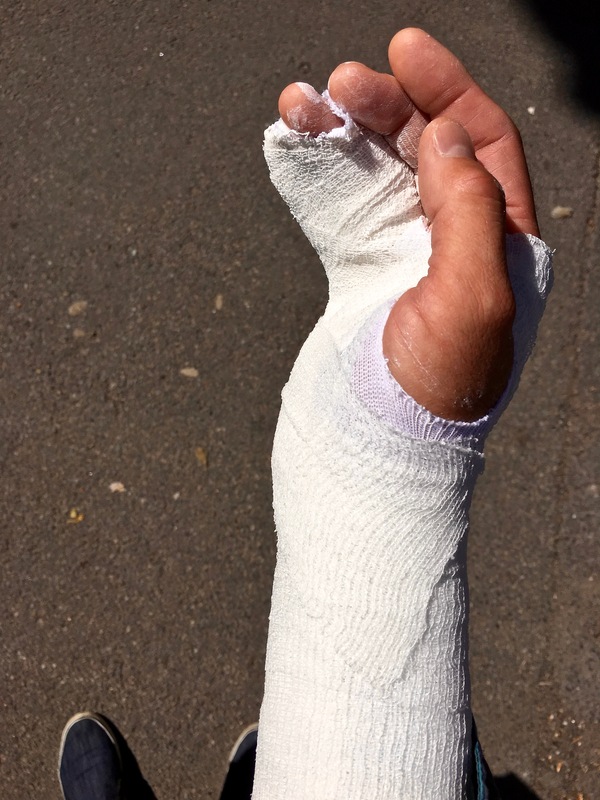 Should’ve kept the cast on and listened to the Norwegian doctor, who said it was broken. For Matthew to have an examination, a full set of x-rays, and a cast for his broken hand, the total out-of-pocket cost was $425. That’s without insurance covering any part of the bill. When we got back to the U.S., Matthew had the hand x-rayed a second time because he really wanted someone to tell him he didn’t need a cast. Just the examination and x-rays (no cast included) together cost $1,568 as billed to our insurance. We’ve encountered this price difference over and over again as we’ve shuttled back and forth between the two countries. It clearly illustrates the concept that nationalized healthcare — meaning everyone pays into the system and receives coverage — dramatically reduces medical costs overall. Not to mention that all of the intensive insurance paperwork disappears. But then how would the insurance companies make their money? Matthew and I have had no long hospital stays while in Norway, so I can only speak from our own minor medical moments. Every doctor we’ve ever met speaks perfect English, so we’ve never been in the dark about our diagnoses. Most doctors seem to have spent time training in the U.S., Australia, England, and other European countries — in other words, their experience isn’t just limited to the small population of Norway. I’ve never once felt like I’m being examined by some country bumpkin who can’t tell the difference between a rectal thermometer and an oil dipstick. Every facility we’ve been in, whether public or private, has been clean, totally modern, and as well-equipped or better than any hospital in the U.S. In fact, Matthew said he was shocked when he went to get his hand x-rayed at Rush Hospital in Chicago. Their equipment looked like it was from the 1960s and produced a fuzzy, almost unreadable image, whereas Volvat’s Roentgen machine was state-of-the art and produced a crystal clear picture. The Rush doctors couldn’t even open the DVD that the Norwegian doctor sent home with us because they said their software was too out of date to view such a high-resolution image. Okay, maybe the above header is a bit of an overstatement. Norwegians aren’t into mollycoddling and dispensing snuggles instead of sound medical advice. That being said, there are some marked differences in medical approaches. Generalizing broadly, I’d have to say that Norwegian doctors seem less intervention oriented and more “let your body heal itself.” They’d rather expose a patient to fewer scans, medicines, and surgeries that what’s typical in the U.S., and they’re more focused on physical therapy, diet, and alternative options, including acupuncture, chiropracty, and herbal medicines. Norway wants to lead global efforts to reduce the use of antibiotics on humans by 30% by 2020. Even antibiotic ointments and salves are banned. For more info, click on the photo. I’ll give you a couple of examples. Getting antibiotics is like asking for a gold brick in Norway. While U.S. doctors dispense the stuff like it’s candy, Norwegian physicians are much more concerned about bacterial resistance and super bugs developing as a result of unnecessary antibiotic use. If you beg for antibiotics, they’ll often treat you as if you’re a heroin addict exhibiting drug-seeking behavior. Here’s how the process typically unfolds. Let’s say you come in with plugged sinuses and a bad cough. First the staff will check to see if you have a fever, then they’ll take blood so that they can determine whether you’re fighting an infection or a virus. If it’s a bacterial infection, they’ll try to identify the exact organism first so that they can match it with the appropriate antibiotic. No wide-spectrum antibiotics doled out flippantly here. And don’t even think about asking for drugs until this process is complete. 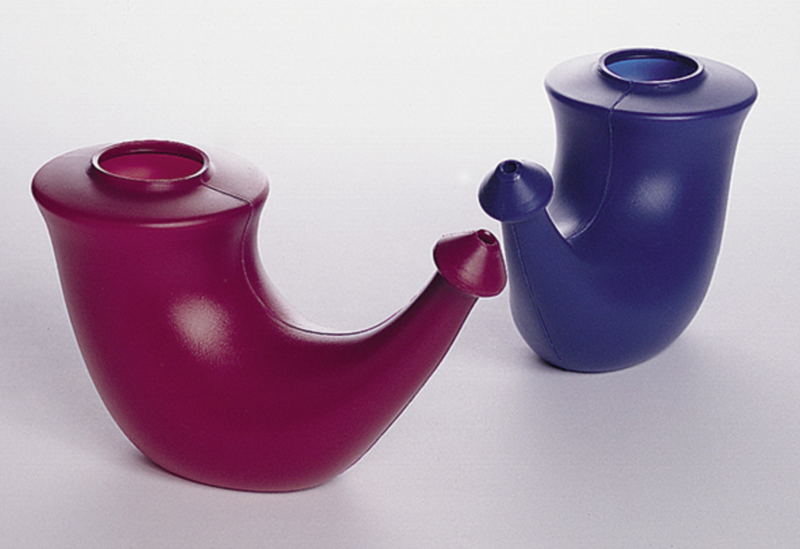 We’d call this a netty pot in the U.S., but in Norway, it’s called a “nesehorn” (nose horn). I just love how literal Norwegian is. By the way, “nesehorn” is also the Norwegian word for rhinoceros. However, if your bloodwork doesn’t reveal an actual bacterial culprit, plan on spending two weeks struggling with your symptoms. That’s the amount of time they want you to wait before they’ll prescribe something hard hitting. In the interim, you’ll have to make due with Paracetamol (Tylenol), weak cough syrup (alcohol is restricted and state-owned here), and a netty pot. I do understand Norwegian precautions, and I totally get that the goal is to allow the human immune system to do its job and get stronger on its own. Finally, she begged for relief, and the nurse gave her a Tylenol in a paper cup and pointed her towards the water fountain. Yep, there she was, an exhausted mom trying to nurse her newborn in one arm while she barfed into a bucket tucked under the other, all while still in the midst of delivering the placenta. At the end of her rope, she screamed ‘I am not a Viking! Please go get me a cup of water! '” The nurse relented and got her a drink. The mother had the same reaction later when, weak with hunger after her efforts, she asked for food and they pointed her down the hall toward a table laid out with nothing but smørbrød — open-faced sandwiches consisting of a single slice of bread and cheese with a smattering of red pepper slices. She rather loudly complained, “Aren’t you Vikings? Where’s the meat? I just popped out a nine-pound baby, and I need some protein, dammit!” Then she sent her hubby out for fried chicken, mashed potatoes, and green beans from a nearby American restaurant. Colleagues on our job site have also complained that they’re sometimes treated like wussies and told to just buck up and bear the pain while the body slowly gets better on its own. For example, we had two employees who damaged their shoulders in accidents and felt that anti-inflammatories and physical therapy weren’t producing marked improvements. Both later had surgery in the U.S., and though one found relief, the other has since been on an endless round of surgeries that have proven unproductive — unless you count the money in the surgeon’s pocket. So you can imagine that when I injured my back on this trip, I was wondering how things might play out. The doctor asked a number of questions, and based on the fact that I had no pain while lying down or sleeping, he determined that the problem was muscular, not skeletal. Instead, he suggested Vicodin, which came as a bit of a shock to me considering the opioid crisis that the U.S. is undergoing right now. Gateway drugs like Vicodin and Percocet, often prescribed for sports injuries, have helped contribute to an opioid epidemic in the U.S. This chart records 2016 figures, but a recent tally shows that 2017 broke the record, with 72,000 Americans dying of an opioid overdose. I explained to the doctor that I’m violently allergic to narcotics of any kind and can’t even take codeine cough syrup without reenacting the pea soup scene from The Exorcist. And I asked whether a muscle relaxer might work better, instead. He looked at me as if I’d just asked him to prescribe cocaine, explaining, “we stay away from muscle relaxers here in Norway, as they’re addictive.” And Vicodin isn’t? Kind of surprising that hydrocodone hasn’t proven to be a bigger drug problem in Norway with all of the sports injuries. Anyway, I went back home armed with nothing more than Aleve and Tylenol, and to no one’s surprise, the pain got worse. I couldn’t sit for more than a few minutes, and bending was absolutely impossible. Despite the pain, I struggled to attend the 50th birthday party of a friend of ours and regretted not being able to dance or really participate in the festivities — Norwegians throw the most amazing and fun birthday parties imaginable. Check out the gallery below for details. Happy Birthday Vidar! He looks thrilled to be wearing his birthday-boy headgear, doesn’t he? He and his family are some of the warmest, kindest people we’ve ever met, and we feel so lucky to call them friends. Here’s perhaps my favorite thing about Norwegian parties — people love to sing at them. (I so wish Americans would adopt this practice!) Vidar’s wife Sophie (far right) composed a couple of really funny songs about Vidar and performed them with her choir. Afterwards, a fabulous DJ took to the stage and everybody came out on the dance floor. Again, not something you see much of at American birthday parties. The next morning — the day of Matthew’s flight to Spain — I couldn’t move. Matthew had to pull me out of bed and carry me to the bathroom. No way was I able to fly with him. Instead, I stayed in Norway and that night I slept on the couch to avoid having to lever myself in and out of such a high bed unassisted. By the next day, I ended up calling a taxi and having the driver help me down the stairs and then into the Volvat waiting room. This time I got Doogie Howser for a doctor. I swear the kid looked 12 years old. But he did a number of simple experiments that involved lifting my legs into various contortionist poses, again coming to the conclusion that the injury was muscular, not skeletal. I inquired about an MRI to be sure, but he explained that in Norway, MRIs are considered invasive. They’re reserved for when doctors are sure there’s vertebral or disc damage, as a person shouldn’t have such intense scanning too often in life. After learning of my narcotic reactions, he met with colleagues and agreed to give me a five-day supply of low-dose Valium. It worked like a charm. I stopped taking it in three days, just so I could preserve the last few pills for the long flight back to the U.S. And although I wasn’t able to sit upright long enough to write a blog post, nor did I feel well enough to do any hiking or sightseeing, I was finally able to get out a bit for my last couple of days in Norway. 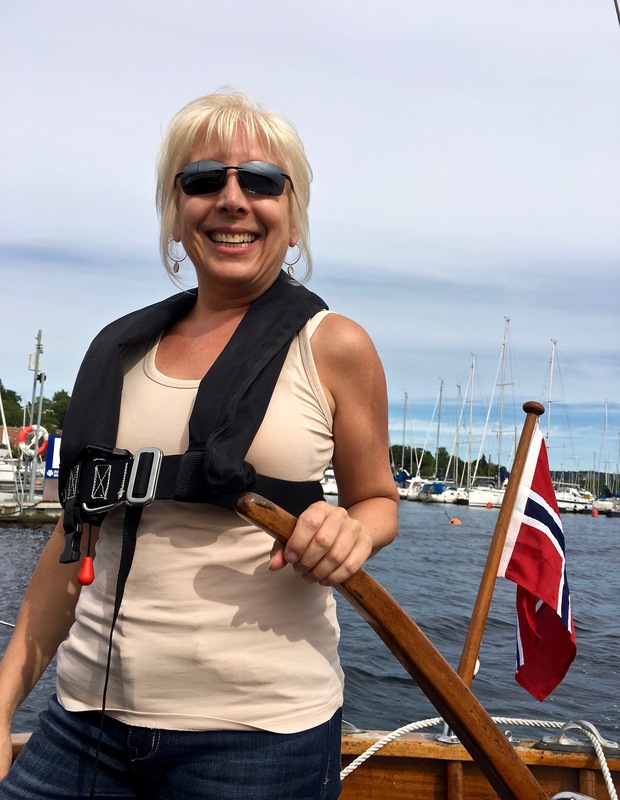 Leslie stands at the helm of her beautiful little wooden sailboat, complete with its own Norwegian flag. One night, I met up with Leslie, an American friend who has lived in Norway for 20 years and owns one of those adorable, vintage wooden sailboats. She rents a slip at a public marina, where membership is only around $300 – 600 a year, depending upon the size of the boat and whether you want to leave it in the water year-round. Members get access to the club boathouse and a slip secured by patrol officers consisting of fellow boat owners. Yep, as part of your membership dues, you have to spend two nights a year walking the piers to ensure nobody makes off with a vessel. 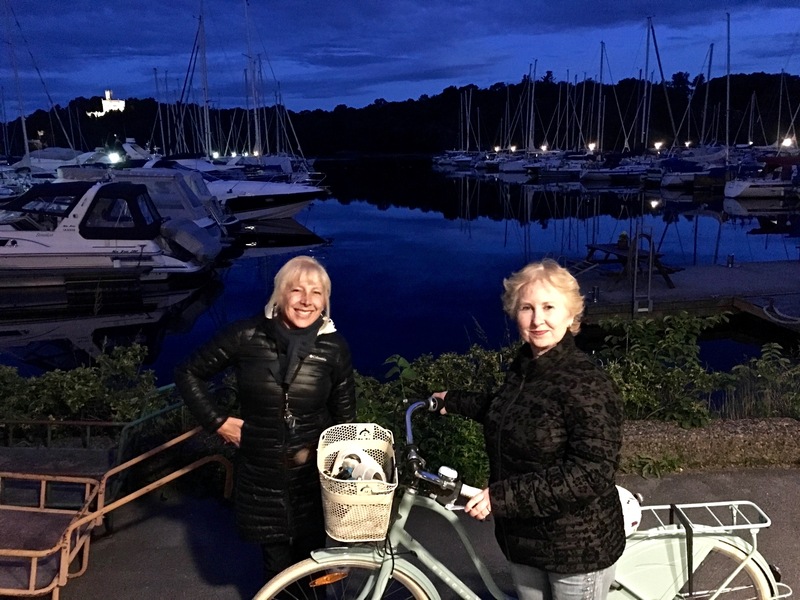 Leslie and Jane stand outside the boathouse, with the last vestiges of the midnight sun turning the sky purple. It’s actually about 2:00 a.m. in this photo. On the Friday before our flight to France, I joined our friend Jane and we went to keep Leslie company on one of her watches. We sat in the boathouse until the wee hours of the morning, admiring the midnight sun and trading stories. Leslie’s fellow patrolman, a Norwegian, told one tale of finding a dead body, an accidental drowning victim, bumping against the pier. And I shared a similar anecdote from my days as an Exhibit Developer at Chicago’s Museum of Science and Industry. 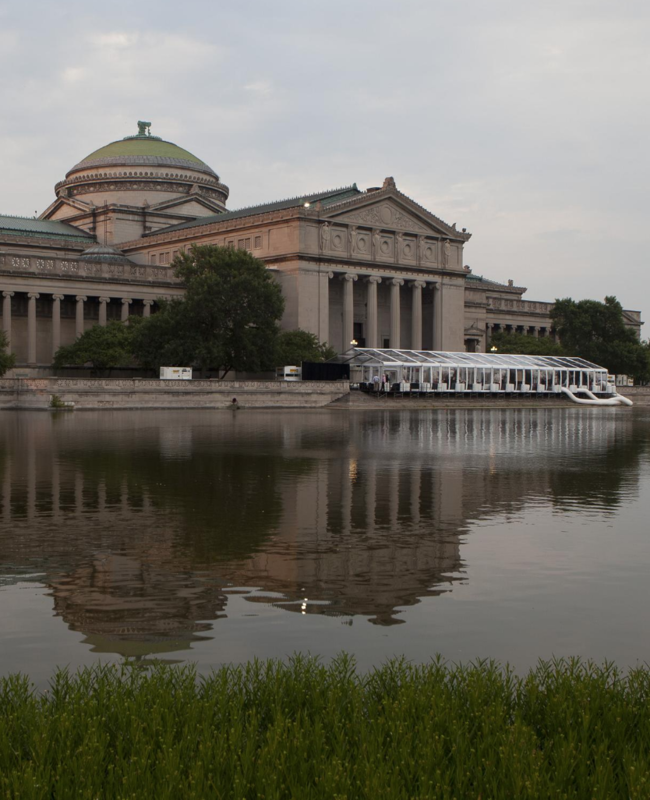 The Museum of Science and Industry was originally built as the Palace of Fine Arts for the 1893 World’s Fair. Its South Portico pictured here faces Jackson Park Lagoon, where visitors back then could catch gondolas to other fairground attractions. The place has a long legacy of murder. If you haven’t read “Devil in the White City” by Erik Larson (sorry Norway, he’s a Swedish American), it gives a gripping account of an early serial killer who canvassed the 1893 fairgrounds for his victims. My team and I were installing an exhibition during off hours, and during our 3:00 a.m. lunch break, some of the crew found a bloated dead guy beached on the South Portico stone stairs that descend into the Jackson Park Lagoon. The police came to clean up the situation, then stopped to give us the body count for the season (7). The officer in charge explained that, “spring is when all the gang-hits break free of their cement shoes. They get shot dead in the autumn, weighted down, and tossed in the water to freeze over the winter. It makes the victims harder to identify and gives the killers time to destroy evidence and create alibis. As temperatures rise with the spring thaw, gasses build up in the bodies, which eventually break free of their moorings and pop up to the surface.” Let’s just say, I never took a lunch break on the back porch again. Perhaps it was the wrong story to share with Leslie’s Norwegian cohort. After we left, he told her that he didn’t really like Americans or America. He said he had no desire to visit the U.S. because he had nephews who’d spent a semester in school there and were shocked by the intense poverty and huge disparity between the classes. He added that he thought Americans were incapable of thinking for themselves, and that he preferred Russians, as they were free thinkers and better people overall. I do totally understand his perspective on the U.S., although I’m not sure that free-thinking is heavily encouraged or more tolerated in Russia. And it’s probably a good thing that he feels so friendly towards Russians, as he might get even more exposure to them in the near future (the country is right next door to Norway and there seems to be an omnipresent threat of invasion). I’d be interested in hearing what the guy thinks about the current bromance between Trump and Putin, though. Anyway, the last day of our trip, Leslie invited Matthew and I aboard for a tour around Oslo’s harbor. We fell in love with the sweet little sailboat and can’t wait for another opportunity to cruise the fjord. And on that broad hint to Leslie (we’ll be back in September 😉 ), here are some photos of the excursion to close out my lengthy post. Leslie and I attempt to strike a nautical pose in front of her adorable boat. Behind us you can see one of the public marinas, where walking the piers gives you a view of everything from fancy yachts to sweet little dinghies. 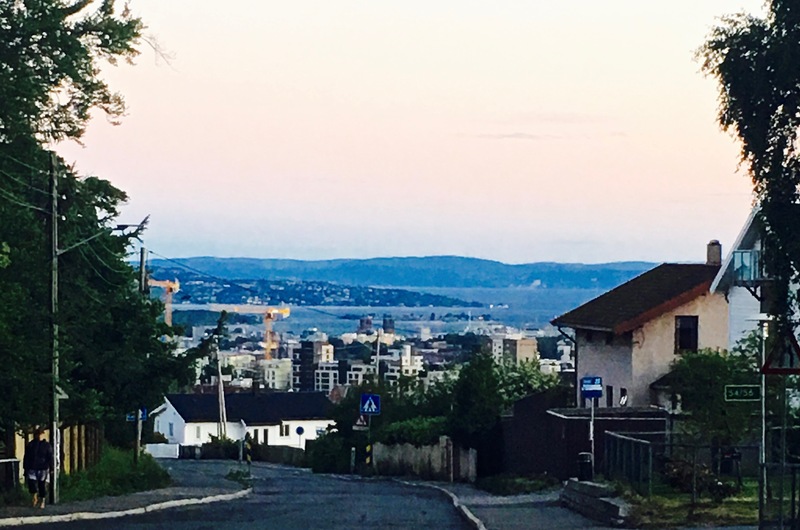 In the distance you can see the twin towers of Oslo’s City Hall, a must-see if you’re planning a visit. You can also take a seafood dinner cruise aboard tall ships like the one on the far right. The boats on the far left are ferries that take you to Oslo’s many islands. I love the juxtaposition of the Beverly Hillbilly-style floating sauna in the foreground, with the city-sized cruise ship in the background. The building on the right, with the swooped roofline, is the Astrup-Fearnley Museum of Modern Art, another great tourist destination. While we were in town, the USS Bainbridge came into port. The Arleigh Burke-class guided-missile destroyer was supposed “to enhance U.S.-Norway relations as the two nations work together to strengthen regional security and stability.” I’ll be honest, the thing looked pretty derelict and had a huge barrier around it to prevent leaking oil from spreading out into the harbor. It looks like we’re about to lose a game of chicken with a huge cruise ship. (We’re not; it was docked.) In the background, you can see Oslo’s opera building, designed to look like a floating iceberg by the internationally famous Norwegian architectural firm Snøhetta . Check out this little hovel, supposedly owned by one of the richest men in Norway. It’s even got its own giant golden “Buddha” to enhance that sense of Nirvana attained. One of my favorites in the harbor is the little Heggholmen Lighthouse, built in 1872. I haven’t yet gotten to peek inside, but it’ll happen one day, I promise.